Our Ladies collection of everyday workwear includes a number of great styles that have been designed specifically for Women. In this collection you can choose from Knee Pad Work Trousers, functional and comfortable Ladies Fit Overalls and a selection of some really great work Polo’s and Jackets. Browse this range of Womens Workwear today. Correctly fitting work clothing is very important as you are wearing your workwear for the majority of the day, and you need to feel comfortable whilst doing your work. We have brought this collection for Ladies together so you can find clothing that is sized in Ladies sizes for a better fit. There are even holster pocket trousers and overalls which are all in Womens sizes. As with all our clothing if you want to add your own personal touch to your chosen garments, we can personalise them with corporate branding or a logo of your choice. If you are unsure which style to choose then you can easily speak to one of our customer service advisors, who will be able to answer your questions and help you select the right garments for you and your occupation. Below are a few highlights of the collection which are extremely popular as they offer a good fit, all day long comfort and the functionality you require. Dickies Eisenhower Trousers. These functional trousers are adorned with numerous pockets including holster style pouches and large pockets and tool holders on the leg area. This allows you to carry you tools on your person in affect turning your trousers into a tool box. The fit is designed for a to be comfortable allowing you to work in comfort all day long. Dickies Ladies Overalls. This is simply a superb work garment. Plenty of pockets for practicality and a fit which allows for easy movement but being designed in Womens fit it does also look the part and fits nice and comfortably. Ideal for numerous occupations this coverall is the first choice for many Women at Work. To complete your Workwear look we also have a superb collection of Ladies Safety Boots and Shoes. This collection of Women safety footwear includes classic work boots, stylish and lightweight safety trainers. 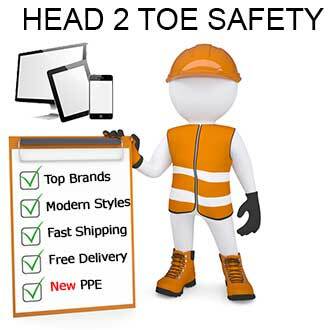 With many different styles to choose from and the biggest brands including a great selection of Dickies Safety Boots our collection of safety footwear for Women compliments your work clothing perfectly.